Drug Des Devel Ther. 2015; 9: 2421–2429. Kratom, known botanically as Mitragyna speciosa (Korth. ), is an indigenous tree in Southeast Asia. Kratom is currently easily available worldwide via special shops and the Internet to use as a drug of abuse, opioid alternative, or pain killer. So far, the pharmacokinetics of this plant has been studied only in animals, and there is no such study in humans. The major abundant active alkaloid in Kratom, mitragynine, is one of the promising new chemical substances to be developed as a new drug. The aim of this study was to examine the pharmacokinetics of mitragynine and assess the linearity in pharmacokinetics in chronic users. Since Kratom is illegal in Thailand, studies in healthy subjects would be unethical. We therefore conducted a prospective study by enrolling ten chronic, regular, healthy users. We adjusted the steady state in each subject by giving a known amount of Kratom tea for 7 days before commencement of the experiment. We admitted and gave different oral doses to subjects to confirm linearity in pharmacokinetics. The mitragynine blood concentrations at 17 times points and the urine concentrations during the 24-hour period were collected and measured by liquid chromatography-tandem mass spectrometry method. Ten male subjects completed the study without adverse reactions. The median duration of abuse was 1.75 years. We analyzed one subject separately due to the abnormal behavior of blood concentration. From data of nine subjects, the pharmacokinetic parameters established were time to reach the maximum plasma concentration (0.83±0.35 hour), terminal half-life (23.24±16.07 hours), and the apparent volume of distribution (38.04±24.32 L/kg). The urine excretion of unchanged form was 0.14%. The pharmacokinetics were observed to be oral two-compartment model. This was the first pharmacokinetic study in humans, which demonstrated linearity and was consistent with the oral two-compartment model with a terminal half-life of about 1 day. The pharmacokinetic linearity and parameters reported are necessary pharmacological information of Kratom, and there is a possibility for it to be developed medically as a pain killer or better opioid substitute in the future. Kratom has become increasingly trendy in several countries, especially in Europe and USA. Currently, it is available through special shops or online market known as “Legal highs.” Therefore, it is used by the online community and made available by many online vendors.2 It is important to note that Kratom is sometimes used as a drug of abuse alone or in combination with other substances and for medicinal purposes such as to relieve pain.2,4,26–34 Kratom is used to alleviate opioid withdrawal symptoms and is an economical alternative to other opioid-replacement medications without a prescription. There are an increasing number of reports, studies, and reviews about Kratom use for opioid substitution.2,5–7,35 Despite increasing reports and studies on Kratom, to our knowledge, respiratory depression or significant opioid toxic syndrome have not been reported as the toxicity from Kratom.7,14,35 Even if Kratom is mainly available as a drug of abuse, it may yet provide insight into the possibility for its medicinal development as a new and more effective opioid substitute or pain killer in the future, with fewer lethal side effects. To date, current knowledge of Kratom is limited, and many questions remain regarding its basic safety and the potential toxicities. Hence, the pharmacology and pharmacokinetics are very important and necessary data to understand in managing poisoning or even widening the medical scope of Kratom in the future. Currently, the pharmacokinetics of Kratom has been derived only from animal studies,36–38 which employed only the rat model and produced variable results. There is no pharmacokinetic study in humans. Thus, the objective of this study was to look for the first time at the pharmacokinetics in humans and to assess the linearity of the pharmacokinetics of mitragynine, the most prevalent alkaloid in Kratom. This active alkaloid is a promising new chemical for new drug development. The study was approved by Institutional Review Board of the Faculty of Medicine, Ramathibodi Hospital, Mahidol University. Since Kratom is an illegal substance in Thailand, performing the study in healthy subjects is unethical; therefore, we performed the prospective experimental study in chronic regular users. We asked for permission to possess Kratom leaves from the Thai Food and Drug Administration to be used in this study. The primary outcome was the pharmacokinetics of mitragynine. The secondary outcomes were blood pressure and pulse rate change after taking Kratom. We used different doses of Kratom to observe the dose responses in our study. Inclusion criteria for recruiting subjects in this study included healthy participants, without any underlying diseases, using Kratom regularly for more than 6 months, having positive urine or blood test for mitragynine at the first hospital visit. We excluded subjects who refused to participate in the study. All subjects provided written informed consents. Kratom tea for this study was prepared from leaves collected from Phatumthani province, Thailand during 2012–2013. Ramathibodi Poison Center, Faculty of Medicine Ramathibodi Hospital was certified to handle the plant material. 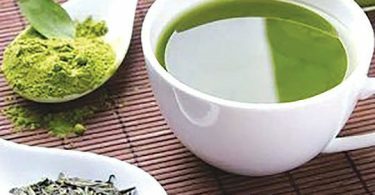 First, fresh or dried leaves of Kratom and different times for boiling the Kratom tea (30 minutes or 1 hour) were compared to find the most proper conditions. Fresh leaves and a 1-hour boiling time were selected for preparing the tea. In detail, 40 g of fresh Kratom leaves were cut and mixed together with 2 L of distilled water, and the leaves were boiled for 1 hour. Three mitragynine concentrations of tea were prepared: 0.1042, 0.166, and 0.1917 mg/mL. Then, the tea was kept in sterile 60 mL bottles and at 4°C for stability testing, which was performed at 3, 5, 7, and 14 days. On the first day, subjects were interviewed and underwent medical, physical, and basic psychological evaluations at Ramathibodi Hospital. The baseline mitragynine concentration and blood chemistry were also checked. Since the subjects were chronic, regular users, and did not need to stop their Kratom use, we considered them adjusted to the steady state of Kratom levels by ingesting a known amount of Kratom tea (60 mL) every day for 7 days. The pharmacokinetic study was performed on day 8. All subjects were admitted and resided in a ward for 24 hours. They were randomly assigned to take either 60 mL or 120 mL of the tea defined as loading doses or the 8th dose added in the study day. Forearm venous blood was collected from subjects through a heparin lock at 17 times points during the 24-hour period at time 0 (before the loading dose was given), 15, 30, and 45 minutes; 1, 1.25, 1.5, 1.75, 2, 2.5, 3, 4, 6, 9, 12, 19, and 24 hours. Urine samples were collected during the period of study to measure Kratom concentrations. For physiologic changes and safety, vital signs as well as any abnormal signs and symptoms were also observed during the study period. Mitragynine was purchased from Cerilliant Corporation (Round Rock, Texas, USA), 7-methyltestosterone from Fluka Chemie GmBH (Buchs, Switzerland), ethyl acetate from Thermo Fisher Scientific (Waltham, MA, USA), and acetic acid and methanol were from Merck KGaA (Darmstadt, Germany). All chemicals were of analytical grade. A 0.5 mL aliquot of each subject’s plasma and urine samples (indicate period of collection) was spiked with 25 μL of 2.0 μg/mL 7-methyltestosterone (internal standard) to achieve final concentration 100 ng/mL. A 2 mL aliquot of 0.1 M phosphate buffer, pH 6.0, was added and briefly mixed. The solid phase extraction (SPE) column (C18; Agilent Technologies, Santa Clara, CA, USA) was conditioned with 2 mL of methanol and a 2 mL aliquot of 0.1 M phosphate buffer, pH 6.0. The plasma or urine sample then was loaded onto a conditioned SPE column, and 1 mL of deionized water and 1 mL of 10 mM acetic acid were added to the SPE column, which was dried for 5 minutes under vacuum (<20 mmHg). Analytes were eluted with 3 mL of ethyl acetate and dried under a flow of nitrogen gas below 40°C. This residue was reconstituted with 100 μL of 20% acetonitrile. A 10 μL aliquot was added to 990 μL of 20% (v/v) acetonitrile, mixed, and centrifuged at 13,800× g for 5 minutes at room temperature. The supernatant was used for subsequent analysis. The sample volume of 5 μL (for plasma or urine) or 2 μL (of Kratom tea) were analyzed using an Amazon SL LC-MS/MS system. Liquid chromatography was performed in an UltiMate 3000 UHPLC system (Thermo Fisher Scientific) equipped with a Luna-C18 separation column (100 mm ×2.1 mm; 3 μm particle size) and a same phase guard column (10 mm ×2.1 mm; 3 μm particle size). All samples were kept at 10°C in autosampler trays during the analysis cycle. Mobile phase A was composed of 5 mM ammonium acetate together with 0.1% formic acid, and mobile phase B was acetonitrile with 0.1% formic acid. After introduction of the sample, the mobile phase was initiated at 10% B (90% A) and linearly increased to 40% B within 10 minutes, then to 75% B within 13.5 minutes, and finally to 80% B within 16 minutes and maintained for 5 minutes. Mass spectrometry was performed in an amaZon SL Ion Trap spectrometer (Bruker Daltonics, GmbH, Germany). A standard electrospray ionization source was operated in positive ion mode with the nebulizer at a gas flow rate of 8.0 L/minute and drying temperature of 250°C. End plate offset and capillary voltage was 500 V and 4,500 V, respectively. Multiple reaction monitoring transition was 399.20→238.20 and 303.20→285.20 for mitragynine (retention time 9.10 minutes) and 7-methyltestosterone (retention time 13.74 minutes), respectively. Line spectra were collected in full scan mode from 50 to 1,000 Da. The validation of the analytical method was performed and will be published separately (Auparakkitanon, unpublished, 2015). The pharmacokinetics of mitragynine was evaluated by use of computer software, WinNonlin® version 3.0 (Pharsight Corporation, Mountain View, CA, USA). Noncompart-mental analysis included determination of the following parameters: the maximum or peak plasma concentration (Cmax); the time to maximum observed concentration or time to reach Cmax (tmax); terminal half-life (t1/2), estimated via linear regression of time and the log terminal end portion of the curve; and the area under the time–concentration curve from the time of dosing to the time of the last observable concentration (AUC0−tlast), calculated by the log linear trapezoidal rule. The area under the curve (AUC) extrapolated to time to infinity (AUC0–∞) can be calculated by adding AUC0−tlast with the last observable concentration (Clast) divided by linear regression-fitted terminal slope (λZ). The apparent total clearance (CL/F) was calculated by dose/AUC0–∞. The apparent volume of distribution (Vd/F) values were calculated in L/kg of body weight and were computed based on the terminal elimination phase and the apparent CL/F. Data were reported as the mean ± standard deviation (SD) unless otherwise defined. Repeated measures ANOVA were tested for continuous data of mean blood pressure, pulse rate, and capillary blood glucose. The mean and SD were for continuous data, and the frequency and percentage were for categorical data. There were ten subjects recruited in this study. All were healthy men who had no preexisting diseases. The demographic data is shown in Table 1. The liver and kidney function values were within acceptable limit. The data from our laboratory analysis showed that mitragynine concentration in the tea was stable during storage at the subjects’ homes, and this meant that the subjects actually received the same dose every day. The daily doses and loading doses were different and divided into five groups, as shown in Table 2. The normal and semilogarithmic plot of plasma mitragynine concentration against time curve of every subject after the administration of a loading dose are shown in Figure 1. We found the abnormal behavior of blood concentration in one subject, which was clearly far different from that of the other subjects. This subject’s parameter was analyzed separately. The highest Cmax, 0.105 μg/mL, and the highest AUC0−tlast, 0.67 μg h/mL, were found in the subject taking the highest loading dose, 23 mg. The lowest Cmax was 0.0185 μg/mL, found in the subject with the low loading dose 9.96 mg. The lowest AUC0−tlast was 0.062 μg h/mL, found in the subject with the lowest loading dose, 6.25 mg. The Tmax was 0.83±0.35 hours and the average apparent Vd/F and CL/F of mitragynine were 38.04±24.32 L/kg and 98.1±51.34 L/h kg, respectively, as shown in Table 3. The semilog plot of pharmacokinetics time profiles in nine out of all ten subjects demonstrated biexponential decline, which suggested the pharmacokinetic behavior of mitragynine followed the oral two-compartment model, as shown in Figure 1. The correlation between the loading dose and Cmax, as well as the loading dose and AUC0–∞ were linear (Figures 2 and ​and3).3). When the dose increased, the Cmax and AUC0–∞ increased proportionally with dose. We found that the CL/F was quite constant and not increased when the loading dose increased. Altogether, it was suggested that the pharmacokinetics of mitragynine was linear or first order kinetics. The urine excretion of unchanged mitragynine was very limited, as it was only 0.14%. Plasma mitragynine concentration–time curve of every subject after the administration of a loading dose: the normal plot (A) and semi-logarithmic plot (B). The relationship between the maximum plasma concentration (Cmax) and loading dose. The relationship between the area under the curve extrapolated to time to infinity (AUC0–∞) and loading dose. For one subject who took 9.96 mg for both daily and loading doses and had the abnormal behavior of blood concentration, his normal and semilogarithmic plots are shown in Figure 4. There was no distribution phase because no sharp decrease of the blood concentration was seen. The possible errors were excluded by reevaluation. His blood samples were collected for other investigation in this regard. Plasma mitragynine concentration – time curve of one subject with abnormal behavior of blood concentration after the administration of a loading dose: the normal plot (A) and semi-logarithmic plot (B). The blood pressure and pulse rate of every subject increased at the 8th hour of study and then returned to normal, as shown in Figures 5 and ​and6.6. Capillary blood glucose levels were normal during the period of the study. All subjects described tongue numbness after they finished drinking Kratom tea. No abnormal signs and symptoms were detected during this period of the study. Blood pressures (BP) of every subject during the day of the study. Pulse rates of every subject during the day of the study. The pharmacokinetic parameters are important and essential information for the pharmacologic study of any substance of interest. To our knowledge, this study was the first pharmacokinetic study of Kratom in human. In our study, the pharmacokinetic parameters were different from those of animal studies. As we used different doses, more information was added, showing the pharmacokinetics were linear and followed an oral two-compartment model. Information on the bioavailability of oral mitragynine is not currently available in humans. The Vd and CL in our study were apparent Vd and CL. According to this apparent Vd, it would be considered as a large Vd, unless the bioavailability was less than 2%. For example, we applied the oral bioavailability of mitragynine from the rat study, which was 3.03±1.47%29 in our pharmacokinetic analysis. The estimated Vd and CL would be 1.15 L/kg and 2.97 L/h kg, respectively. We hypothesize that mitragynine has a large Vd and is mainly distributed out of the circulation. Our study also found that all subjects had increasing blood pressure and heart rate, but the onset was delayed to 8 hours after drinking Kratom tea. The time was later than Tmax; therefore, this finding needs further investigation. For clinical applications, the beneficial effects of Kratom on opioid withdrawal have been reported in various studies. Our study showed that it had a long elimination t1/2 and linear pharmacokinetics. Taken together, Kratom would be a good candidate for opioid substitute in patients who are addicted to these substances. As it had very low renal clearance, in patients with impaired renal function, dose adjustment might not be needed. However, based on the finding that the pharmacokinetics of mitragynine is linear, if dose adjustment is needed, it can be easily implemented. Extracorporeal techniques such as hemodialysis or hemoperfusion might not be able to remove mitragynine from the circulation as it would have high Vd/F. In conclusion, pharmacokinetics of mitragynine, a major and active metabolite of Kratom, is linear and follows the two-compartment model. It has a long terminal t1/2, extending for hours, and high apparent Vd. Renal excretion of unchanged mitragynine is very low. The pharmacokinetics of Kratom in human was different from animals, thus applying the animal data to humans should be used with caution. Numbness of tongue would be a clinical marker of Kratom ingestion. Abnormal pharmacokinetics in some patients and delayed onset of increasing blood pressure and heart rate require further investigation. Kratom has been an emerging substance of abuse, available worldwide. In the future, Kratom may merit further scientific study to develop its medical benefits, as a better opioid substitute, with fewer lethal side effects, or as an effective pain killer. This study was done in chronic users. Therefore, the pharmacokinetic parameters would not apply for healthy subjects since the metabolism in chronic users might differ from that of naïve persons. Further studies in healthy subjects and population pharmacokinetics should be carried out. We wish to express our sincere thanks to Professor Amnuay Thithapandha for his help with English editing and comments on the manuscript and Mrs Umaporn Udomsubpayakul for the statistical analysis. 1. Puff C, Chayamarit K, Chamchumroon V. Rubiaceae of Thailand: A Pictorial Guide to Indigeneous and Cultivated Genera. Bangkok: Forest Herbarium, National Park, Wildlife and Plant Conservation Department; 2005. 8. Grewal KS. Observations on the pharmacology of mitragynine. J Pharmacol Expr Ther. 1932;46(3):251–271. 11. Kamal MSA, Ghazali AR, Yahya NA, Wasiman MI, Ismail Z. Acute toxicity study of standardized Mitragyna speciosa Korth aqueous extract in Sprague Dawley rats. J Plant Stud. 2012;1(2):120–129. 34. Rech MA, Donahey E, Cappiello Dziedzic JM, Oh L, Greenhalgh E. New drugs of abuse. Pharmacotherapy. 2014 Dec 4; Epub.